Our product range includes a wide range of threaded connector. Initially the Threaded Connector were only used in defense applications. 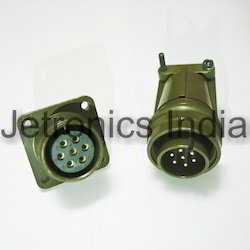 But now these connectors have wide range of industrial applications as well. They are being used in various industries like include medical, machine manufacturing, welding, sensors, lighting, process control, automation, etc. Looking for Threaded Connectors ?